All of the above are results from blowing up my Pinterest like there's no tomorrow lately. Cold weather...pretty things online...they just go together. 3// You can't hate this quote. Not possible. 4// Gold metallic nails...can it get any better? Making a mental note to possibly pick some up this weekend. And this striped shirt for spring is calling my name! You know you want to try it...right? right? Searching around for early Valentine's day gifts for yourself or your loved one? Here is my first gift guide set! I will have one more soon, maybe for the gents in your life! *Link up with the girls for five on friday-here. I've had those same nails pinned for.ev.er. The closest polish I could find similar is Essie's Chrome, but it still doesn't look like the picture. If you have any luck please let me know! Yes, please do a post about coconut oil! My curiosity is getting the best of me! Also, that picture of those boots is not doing good things for my shopping freeze I put myself on.....CA-UUUUUTTTE! I'm so glad you shared that article for coconut oil uses. I bought some a couple months ago and haven't even opened the jar. hah. I saw that challenge floating around and was interested...now I really want to try it! I'm thinking even if I get the exact color of those nails, it still wont look that good! Hope you have a great weekend! Those boots are ADORABLE!!! I've had my eye on some from Target and I really need to pull the trigger. Love those metallic nails too. Cocnut oil is the BEST. I use it as a conditioning hair mask and it always makes it so smooth! 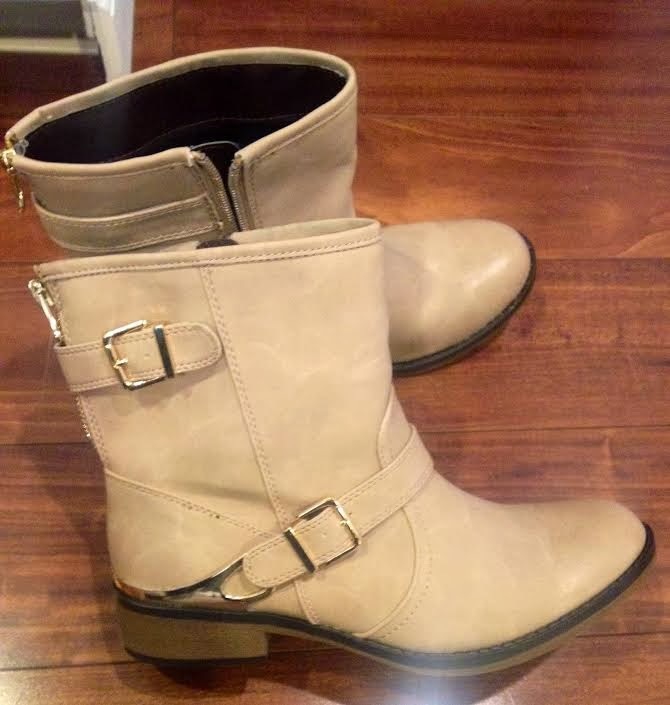 Those Target boots may need to be picked up this weekend... love! 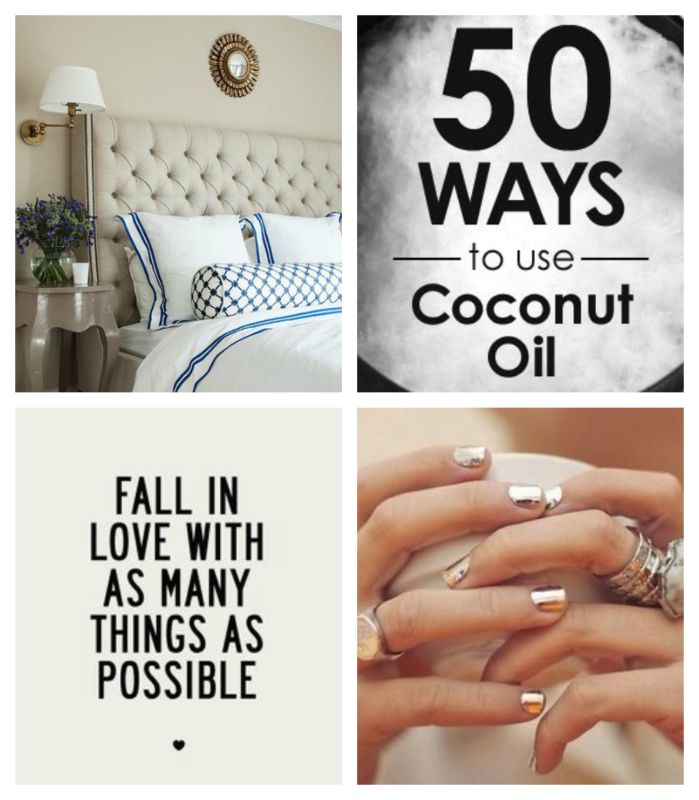 I looove coconut oil, so many amazing uses! Those nails make me want to go repaint mine right now. Happy Friday! Loving that gold polish too!! I want to start using coconut oil more. I need to get it from TJ's!!! Yes on all of these! We are in the market for a new bed as well. Between One Kings Lane and Joss & Main I know we'll find a great one for a great price. I use coconut oil for everything from cooking to taking my eye makeup off. Those boots are fab! 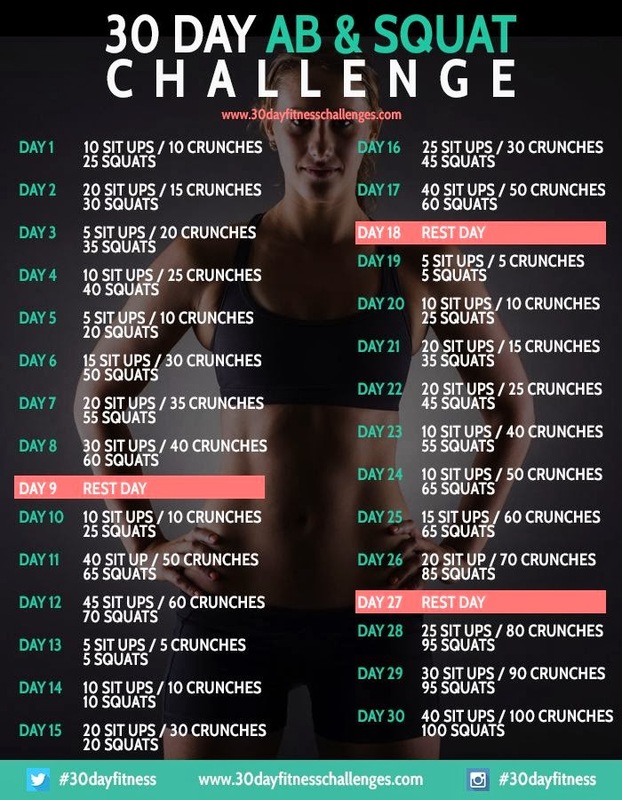 And I definitely pinned the 30 day challenge. I was looking for some things to add to my at home workouts. Those boots! You had me at the gold. In fact, all of this is perfect. Now to just make a stop to Trader Joe's! Thanks for linking up with us sweet girl! It's high time that I finally get myself some of that coconut oil! Oy my, I may have to try that challenge. Love those boots too! 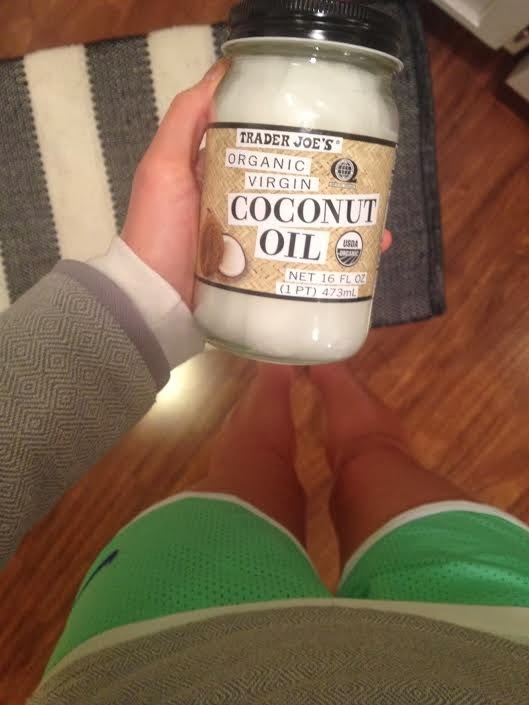 I am OBSESSED with coconut oil. That stuff is magic in a jar! I love using it on my hair as a deep conditioner the best. Or mixing it with brown sugar for a lip scrub... mmm!